Just Online stocks a number of different dust masks for commercial and personal use. One of the key decisions in choosing a dust mask is whether you, the buyer, want to invest in a reusable respirator or purchase a disposable dust mask. Although the small white dust masks we see all the time provide many benefits there are, in fact, a number of different modifications and additions available to the consumer leading up to the most expensive respirator Just Online stocks. This short blog post will track, for you, the extent of our Moldex dust mask collection from products costing £6.99 to £78.09. As you can see, there is an extensive range of products: the price a customer wants to spend will depend on a number of factors. These factors include consistency of use, work environment, dangers and comfort considerations. Moldex designs and produces dust masks for commercial and industrial use, however, Just Online caters for a broader market, including individual users. If you want to find out about the technical and safety specifics of various Moldex masks, we suggest you go to the Moldex website page ‘tech info’ at http://www.moldex.com/non-product/tech-info.php. Our quality economic option is the Moldex 1100 Nuisance Dust Mask (pack of 10). (https://www.justonline.co.uk/product/moldex-1100-nuisance-dust-mask-pack-of-10/). This pack of 10 is perfect for groups, or for those looking to economise and buy in bulk. The next mask up, in terms of investment, is the Moldex 3405 Series 3000 FFP3-D Reusable Mask with Ventex Valve (Box of 5 Masks). (https://www.justonline.co.uk/product/moldex-series-3000-mask-ffp3d-ffp3d-ventex-valve-box-of-5-ppe/) This is Just Online’s first reusable mask multi-pack. The masks in this multi-pack have a valve to create an efficient circulation of air. The masks are reusable and can be utilised for more than one job- hence these masks are a good investment for those needing to use a dust mask on a regular basis. 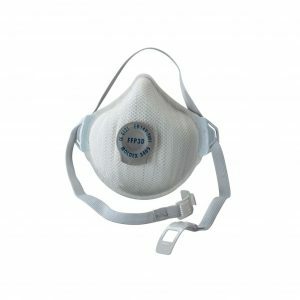 (https://www.justonline.co.uk/product/moldex-3405bp-series-3000-ffp3-d-reusable-mask-with-ventex-valve-blister/). This mask is certified to FFP3 R D protection levels. The product also has a washable seal and a pleated filter technology, allowing the buyer the capacity for multiple uses. We also stock durable plastic ‘respirator’ dust masks. For those who want to make an investment in more heavy-duty equipment. Most of these masks take individual replaceable filters, for long lasting use. Just Online stocks many of these filters for purchase: (https://www.justonline.co.uk/product/single-moldex-abek1p3-r-d-pre-assembled-filter-mol9430/). These masks are often ergonomically designed and moulded for comfort and ease of use. 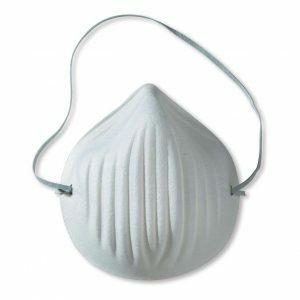 Just Online sells a light-weight plastic ‘respirator’ dust mask, the Moldex 7002 Ultra Light Series 7000 Medium Size Half Face Mask (https://www.justonline.co.uk/product/moldex-7002-ultra-light-series-7000-medium-size-half-face-mask/). This mask is non-PVC and made from hypoallergenic, thermoplastic material. These materials have been picked by Moldex for comfort and fit. The product’s head harness evenly distributes the weight of the mask for a good fit. A good mask for individuals who are seeking an ergonomically designed item for a comfortable working experience. Just Online would suggest this mask for those who want a light, easy to use, quality piece of equipment that is also very well priced. 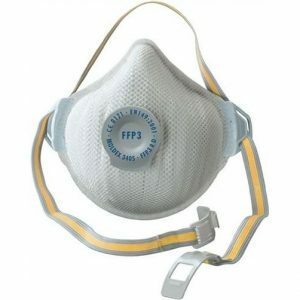 A slightly more expensive mask, in our range, is the Moldex 898225 8000 Series ABEK1 and P3 RD Medium Size Reusable Half Mask (https://www.justonline.co.uk/product/moldex-898225-8000-series-abek1-and-p3-rd-medium-size-reusable-half-mask/). This product is also a reusable ‘respirator.’ Like the above product, it is a half-mask The above link will give you reference to safety aspects of the mask, contained in the product description. This ‘respirator’ is slightly chunkier than the last product we explored. Just Online would recommend this product’s purchase for those who need a reliable, reusable and durable item. Our top of the range mask is the Moldex 9002 Full Face Mask Ultra-Light Comfort Series 9000 Medium Size (https://www.justonline.co.uk/product/moldex-9002-full-face-mask-ultra-light-comfort-series-9000-medium-size-filters-cartridges-supplied-separately/). This product, unlike other protective facial gear, is a full face mask with a moulded lens to cover the head. Just Online would recommend this mask for those concerned about safety, durability and consistency. The technical safety specification for this mask can be found at the Moldex link above. This mask is more expensive than other Moldex products but makes up for its expense via quality. It would be ideal for consumers looking for protective products that pack a punch via expense to quality ratio. We hope this short blog article has given you, the consumer, some insight into the varying specifications and variations available in the market for dust masks. Having knowledge about the product you are purchasing is the first step to buying efficiently and wisely. You can visit Just Online at https://www.justonline.co.uk/ to browse our range of protective facial masks.